Whether you just finished your PADI Open Water certification, have a beginning level diving certification from another agency or you have hundreds of logged dives. PADI’s Advanced Open Water Course gives you the confidence, skills and experience to take your diving to new levels of excitement! To complete the Advanced Open Water Course you will need to complete 5 additional training dives. 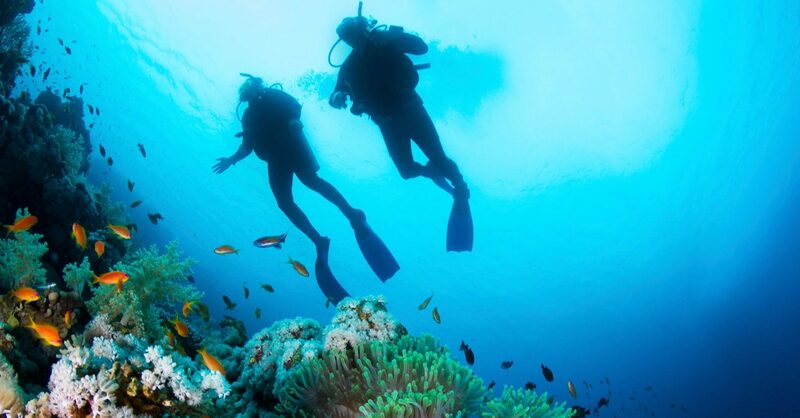 You prepare for the course by reading the 5 appropriate sections of the Adventures in Diving manual and complete all of the knowledge reviews at home, work, on an airplane or in the park. You will then meet at the classroom one evening from 6:00 pm to 9:00 pm to review the knowledge reviews and discuss the up coming open water dives. You will then meet at the chosen open water site on a weekend (Saturday-Sunday) to complete the water skills. This is an exciting way to gain more diving experience with the help of an instructor and to earn the PADI Advanced Open Water certification. All needed or wanted items and gear can be purchased at Ocean Paradise Dive and Travel. Call us today to sign up for the next class!